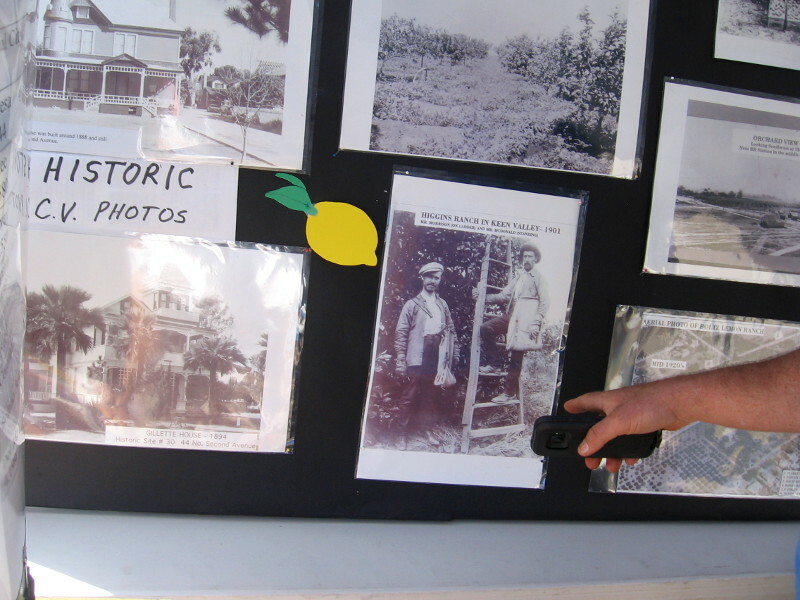 food – Cool San Diego Sights! Beauty and heart in Balboa Park. 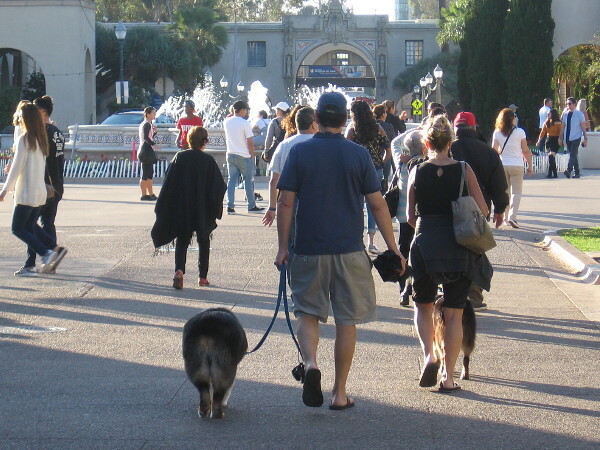 People walk through Balboa Park. There is much living to do. 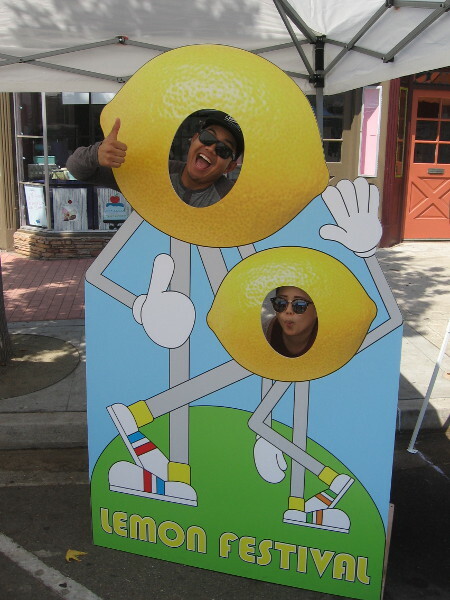 Another fine Sunday afternoon in Balboa Park. I could take a million photographs during walks through Balboa Park, because there is always something new. 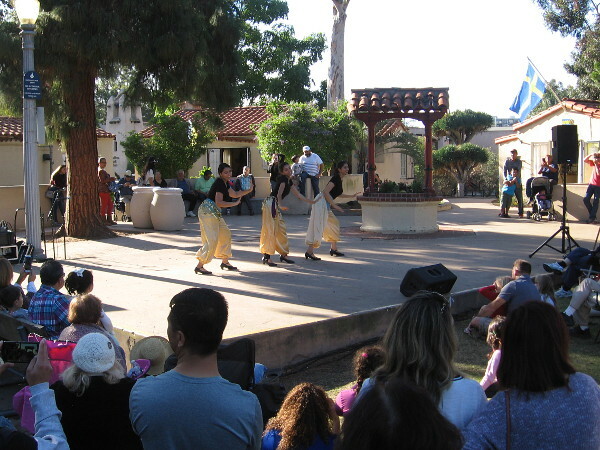 Dancers perform at the International Cottages during the House of Lebanon lawn program. 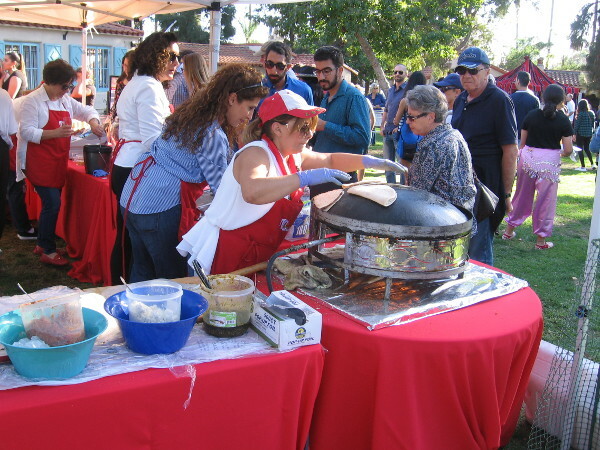 Yummy authentic Lebanese food is devoured on a sunny San Diego day. 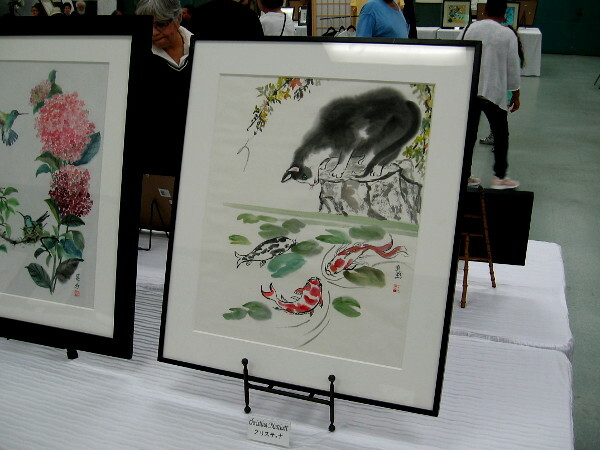 Exquisite artwork displayed inside the Casa del Prado for the 43rd Annual Sumi-e Ten Japanese Brush Painting Exhibition. 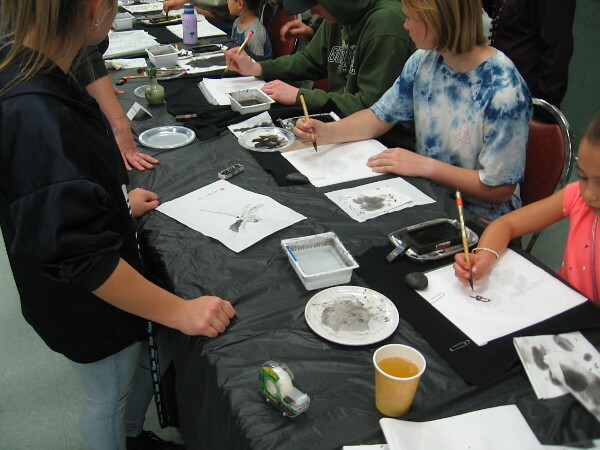 Young people take up a brush, learning to transform ink into elegant beauty. 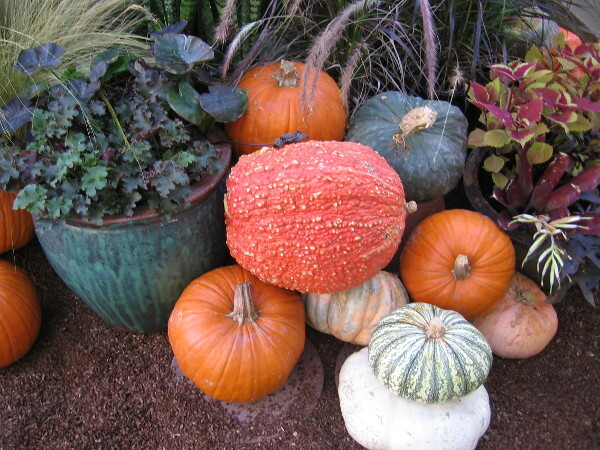 The seasonal display in the Botanical Building features pumpkins arranged among plants and flowers. 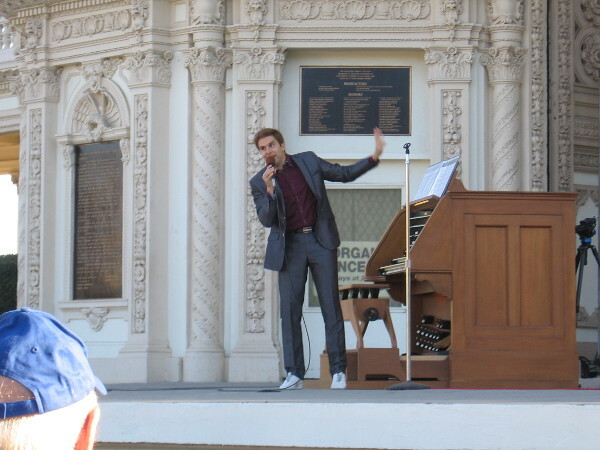 Raúl Prieto Ramírez, San Diego’s Civic Organist, talks to the audience during the free Sunday concert at two o’clock. Peering down into the Lower Garden of the Japanese Friendship Garden from the deck of the Tea Pavilion. 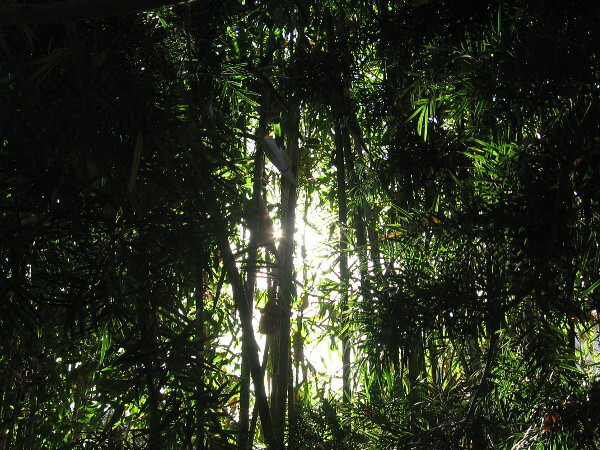 Light filters through bamboo at the Japanese Friendship Garden. A painting of Mt. 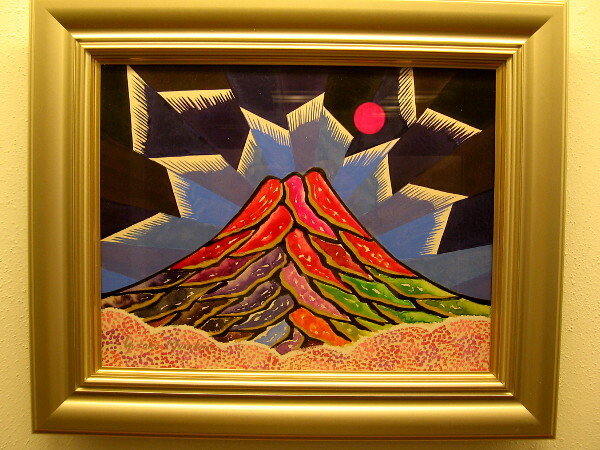 Fuji by Yutaka Murakami. 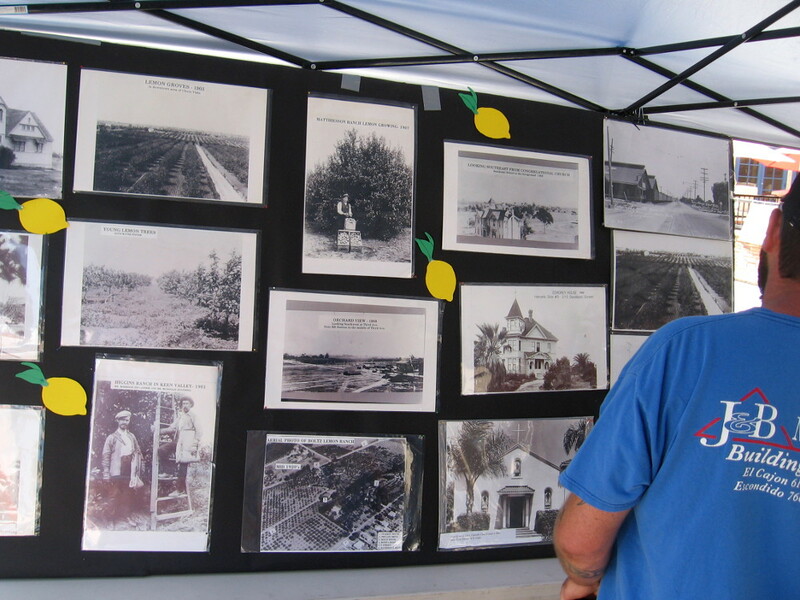 His fantastic artwork is now on display in the Exhibit Hall at the Japanese Friendship Garden. 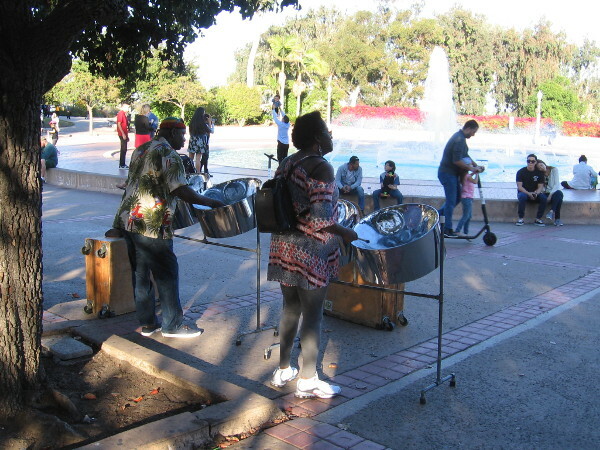 Steel drums add flavor to the Plaza de Balboa near the Bea Evenson Fountain. 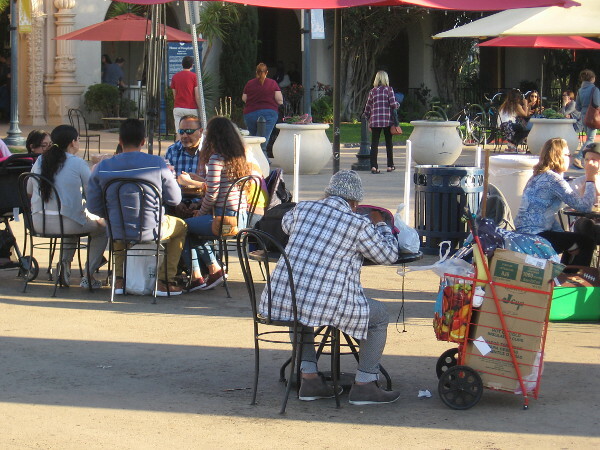 People eat, talk, find comfort at tables in the Plaza de Panama. 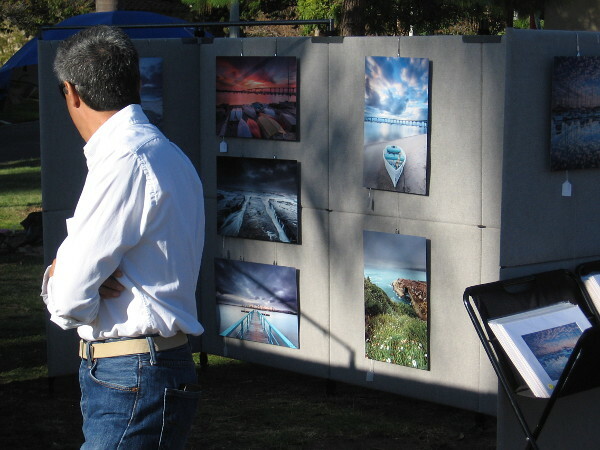 Browsing photographs by a local artist at the outdoor Art in the Park. 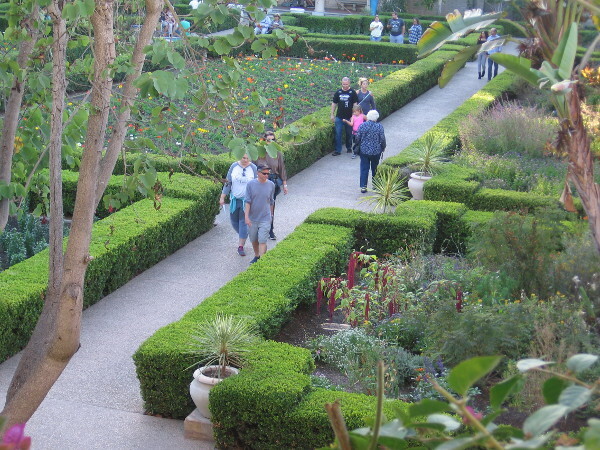 People filter through the dreamy Alcazar Garden. 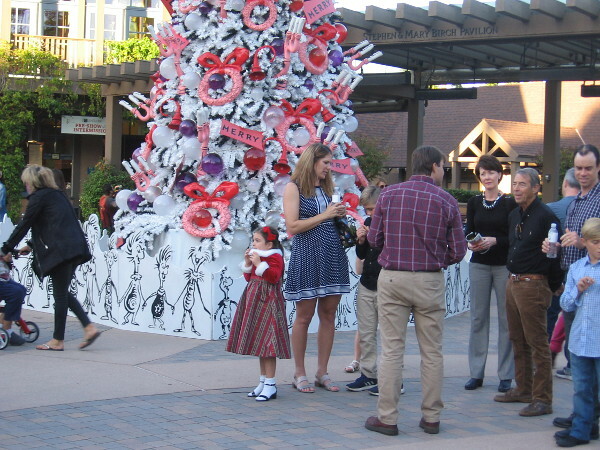 Feeling the holiday spirit by The Old Globe Christmas Tree in Copley Plaza. 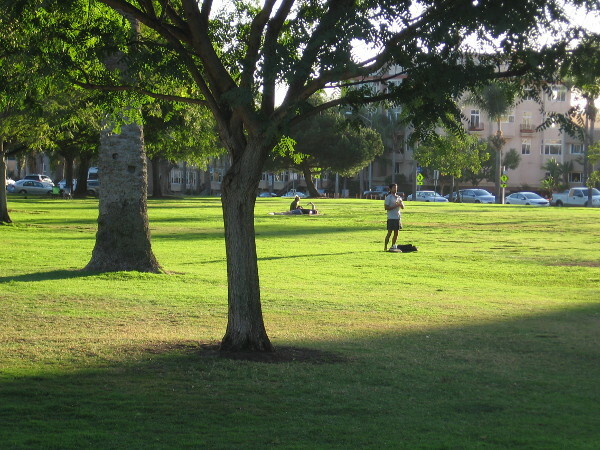 Enjoying peace and warm sunlight on the grassy West Mesa of Balboa Park. 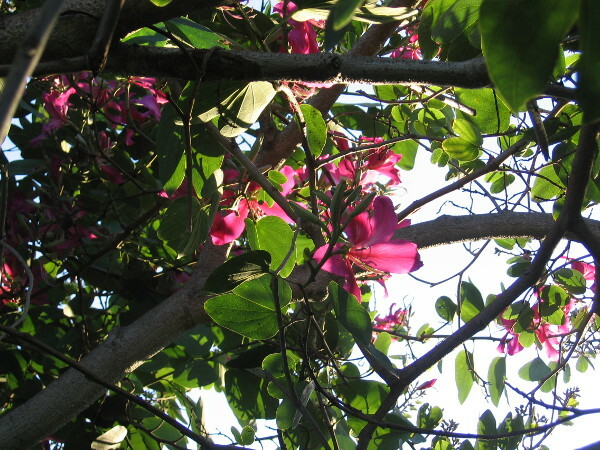 Shining blooms in a tree. 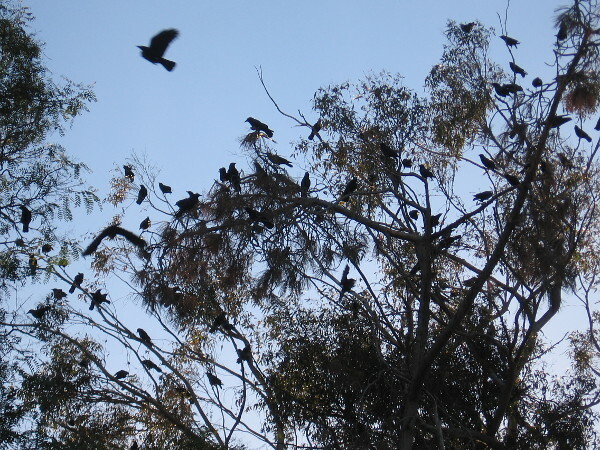 A noisy flock of crows was perched in the eucalyptus trees near the San Diego Chess Club and Balboa Park Horseshoe Club. 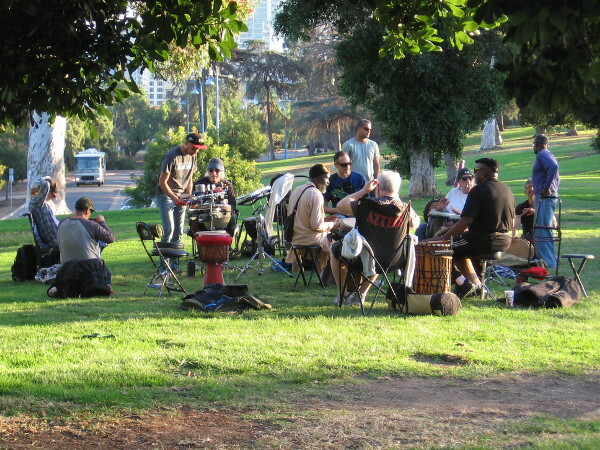 A drum circle in Marston Point. 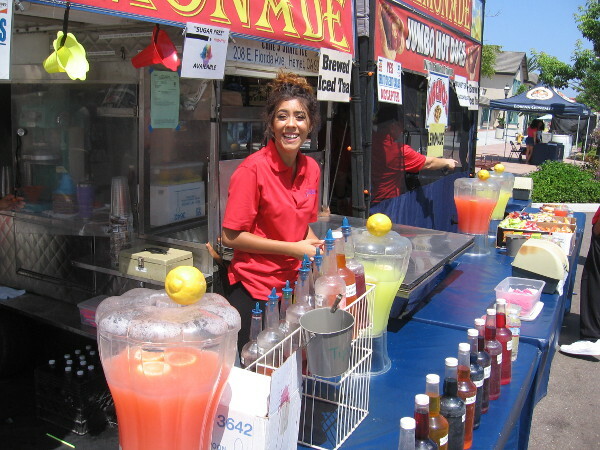 Like the joyful, beating heart of Balboa Park. 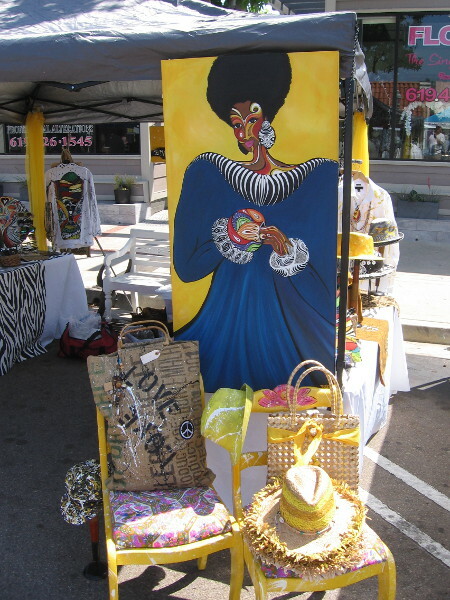 Posted on November 25, 2018 Tags art, balboa park, beauty, culture, dancing, food, happy, heart, joy, life, music, photography, san diego, walking1 Comment on Beauty and heart in Balboa Park. 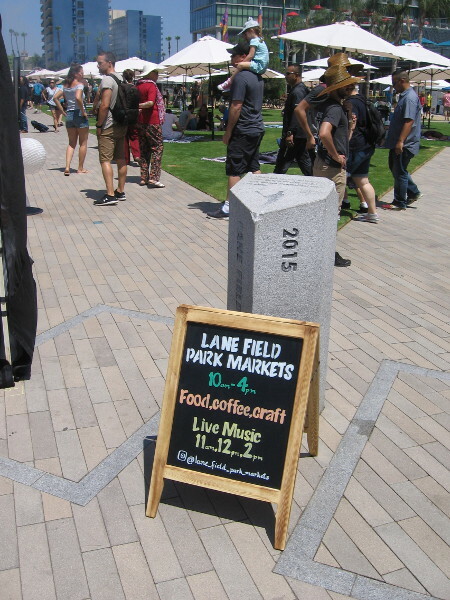 Fun photos of the new, friendly Quartyard! 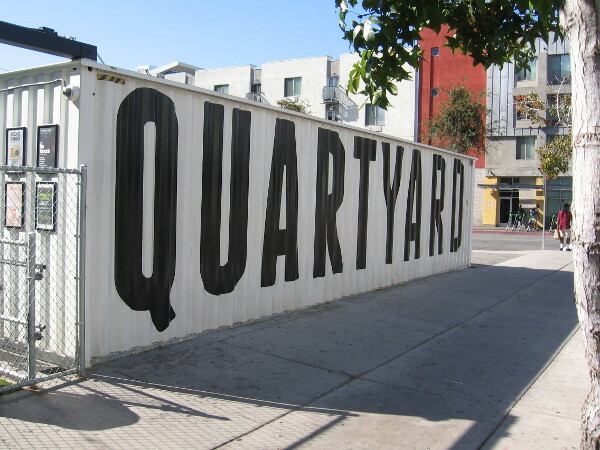 The Quartyard in East Village has moved to this new location at the corner of Market Street and 13th Street. 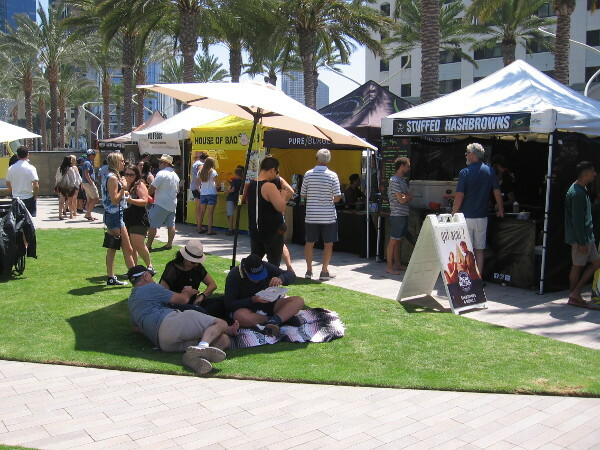 During my walk around East Village yesterday I swung by the Quartyard, a cool container park where neighbors can gather to eat, drink, talk and enjoy live events. 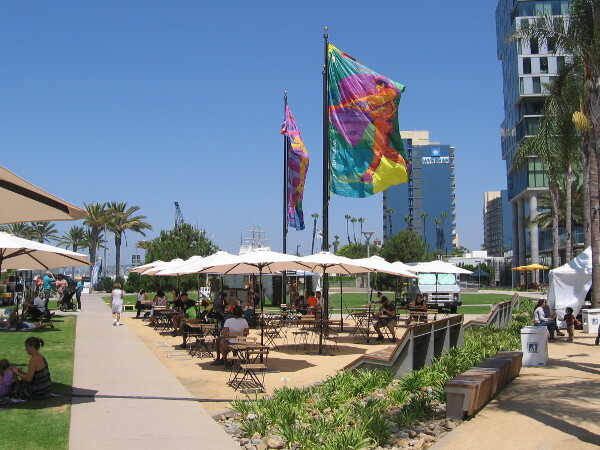 About half a year ago the unique container park moved a couple blocks east from its old location, to the corner of Market Street and 13th Street. While the new space is a bit smaller, it’s a friendly, cozy nook just perfect for neighborhood gatherings. 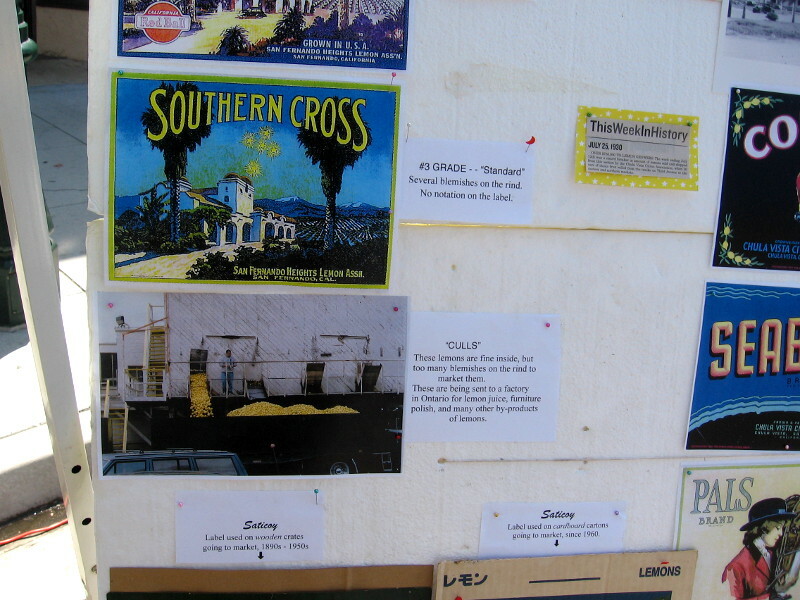 A bit of colorful artwork can be seen inside Quartyard. 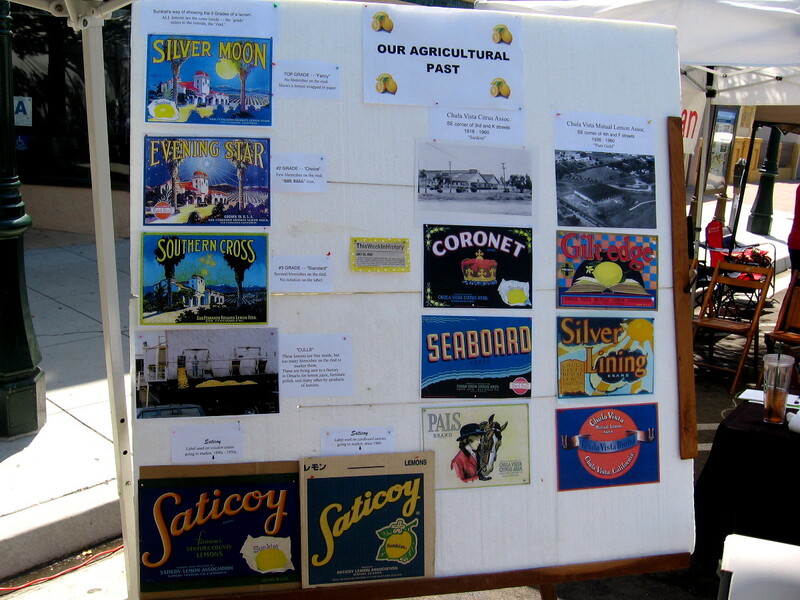 I learned more art is planned for some of the surrounding containers. 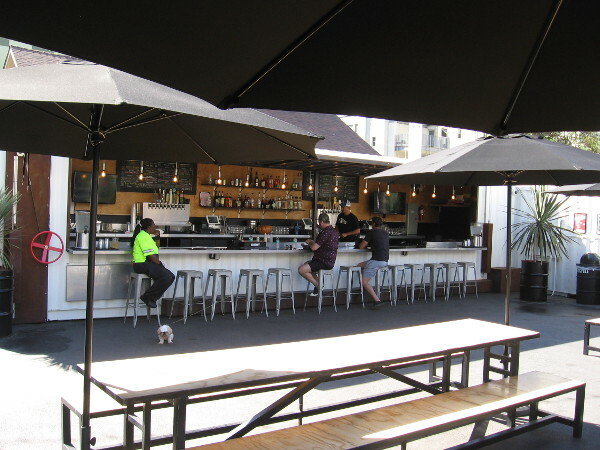 In addition to Burgers and Bites by the small live event stage, Quartyard features picnic tables and this outdoor bar. 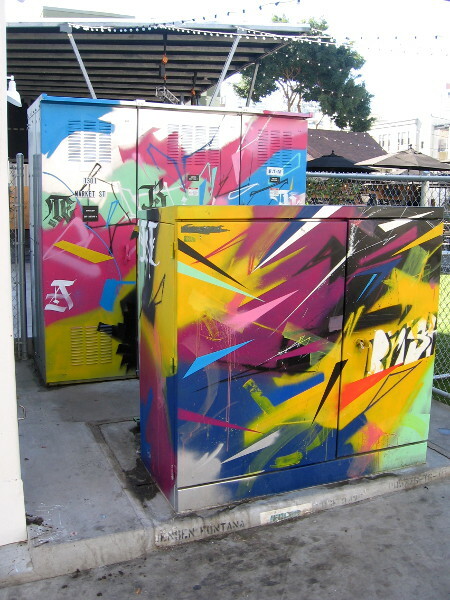 Colorfully painted utility boxes just outside Quartyard. 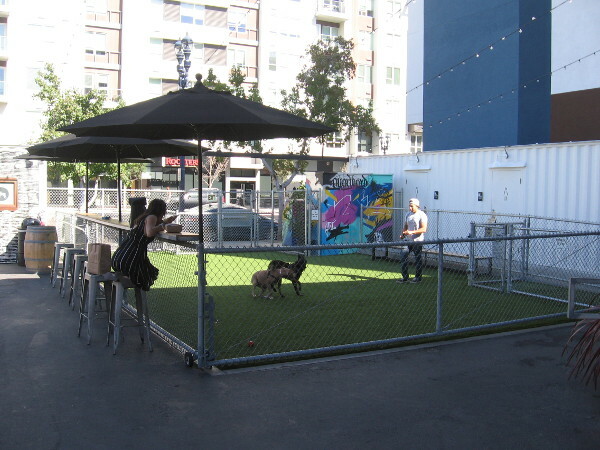 This small fenced area in one corner of the container park Quartyard is perfect for dog lovers who live in the neighborhood. 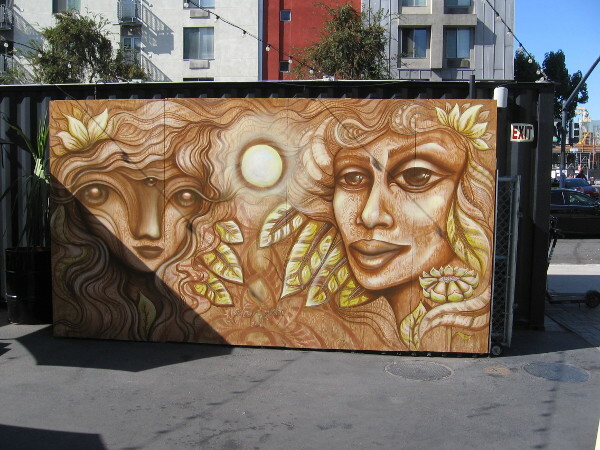 A beautiful mural by local artist Gloria Muriel just inside the entrance to Quartyard in East Village. 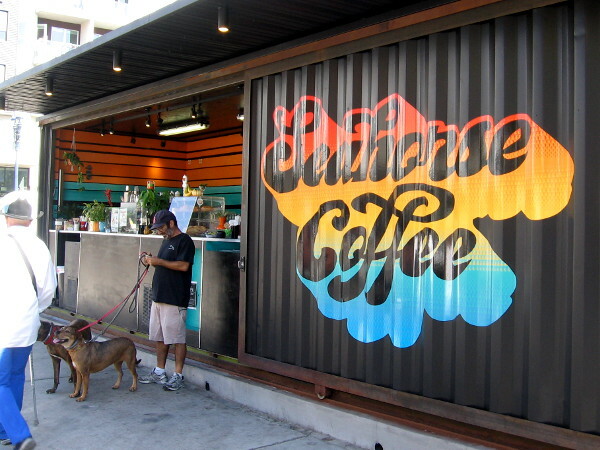 A quick snack or drink can be purchased at the Seahorse Coffee shack out on the sidewalk. 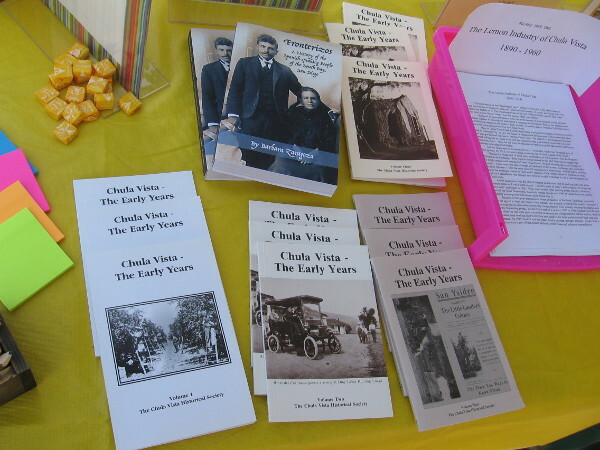 Look at the super friendly people you’ll meet! 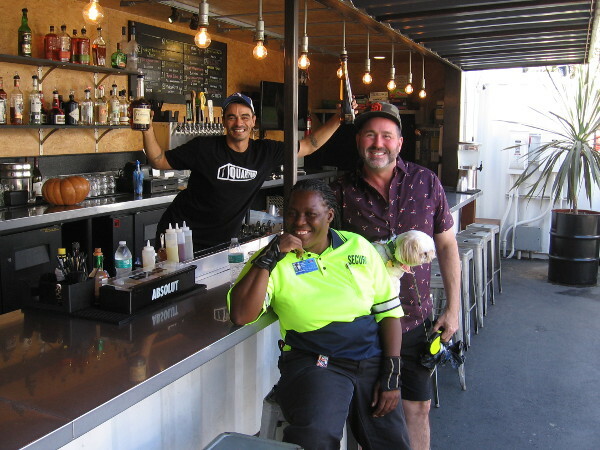 Posted on November 4, 2018 November 4, 2018 Tags art, bars, city life, community, downtown, east village, food, friends, murals, parks, photography, public art, san diego, smile1 Comment on Fun photos of the new, friendly Quartyard! Super yummy Mexican food downtown! 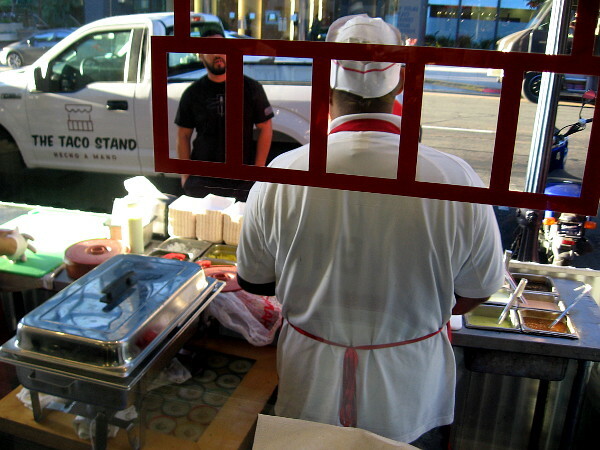 I’ve come to rely on The Taco Stand for a quick and super tasty dinner when my evening walks draw to a close in downtown San Diego. 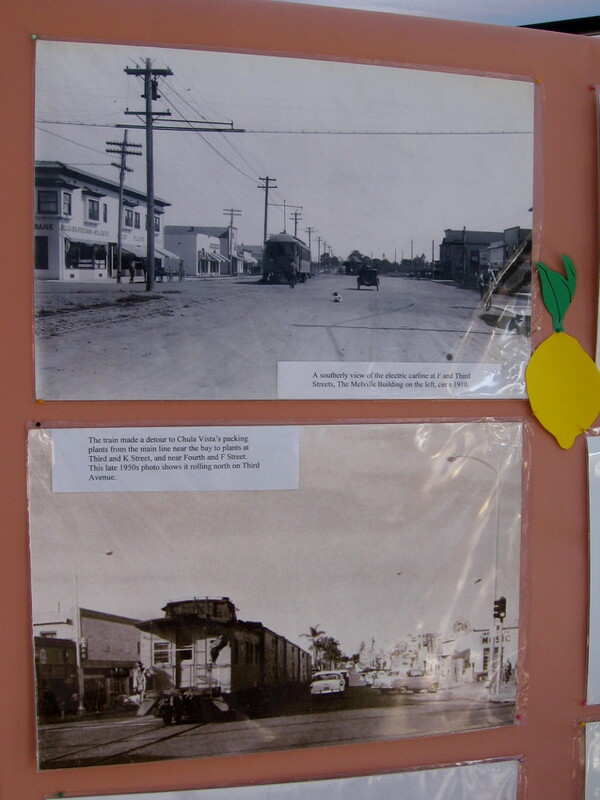 This popular eatery on B Street has some of the yummiest Mexican food to be found anywhere. And all the people there are super nice! 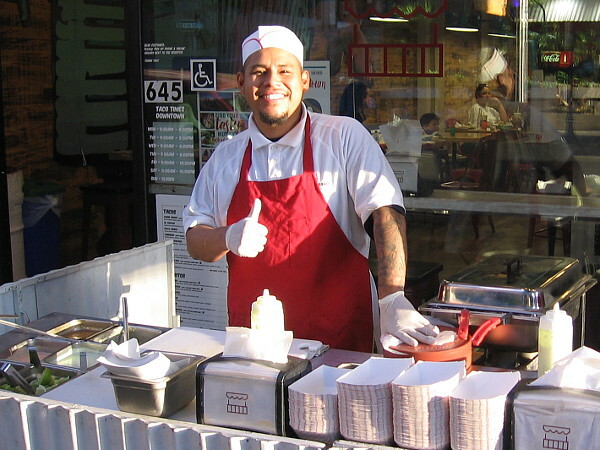 Even though I’m not a culinary expert, nor a food blogger, nor someone who even dines out much, I’d like to thank the folks at The Taco Stand. 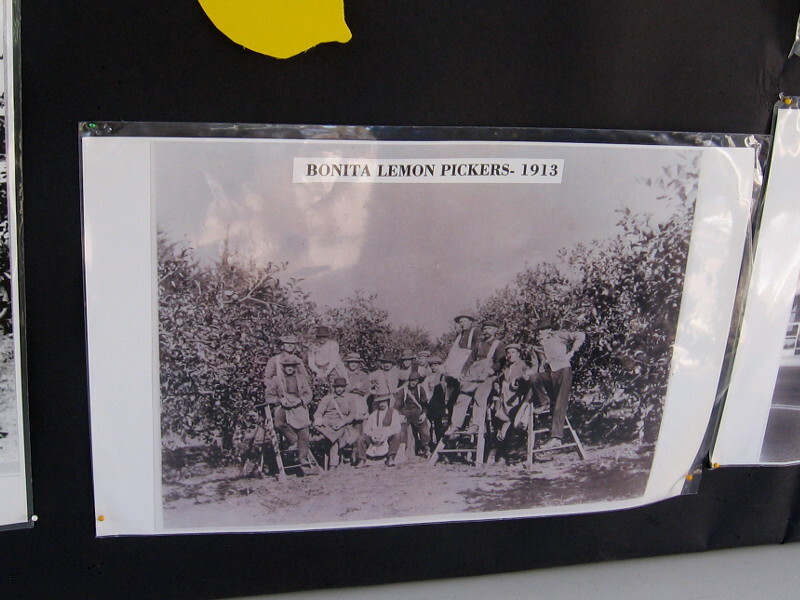 When I walked past this evening, I noticed they had a table out on the sidewalk. 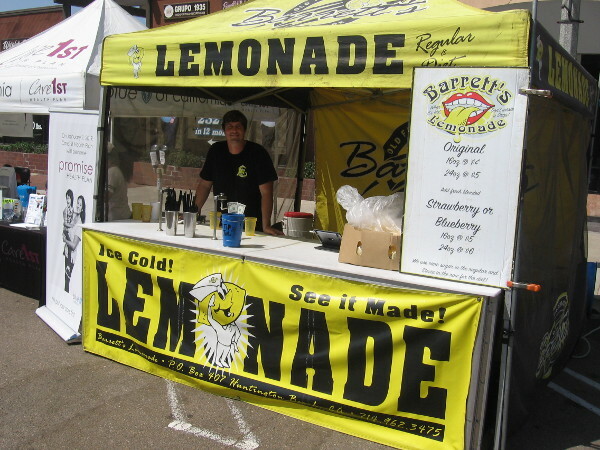 I learned this was because they are a participating restaurant in the 26th Annual Taste of Downtown event. I was drawn inside and found myself once again ordering a pescado burrito. The cool thing about ordering a fish burrito is that it takes longer to grill than most other items. So I can sit and watch all the mesmerizing action as the agile chefs prepare orders. 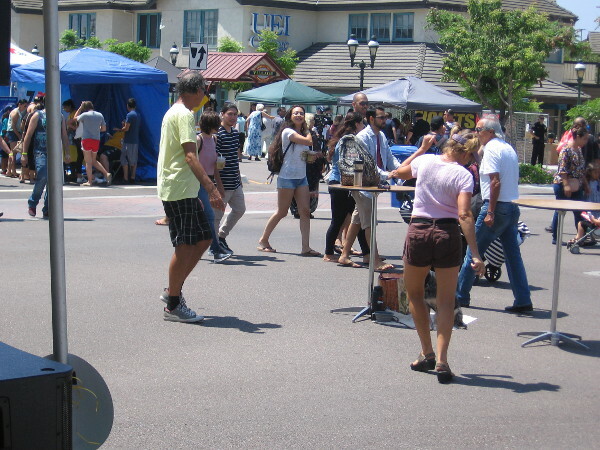 It’s a rapid paced, coordinated dance by the grill with arms flying every which way. They’re conductors of an orchestra. They’re magicians casting spells. 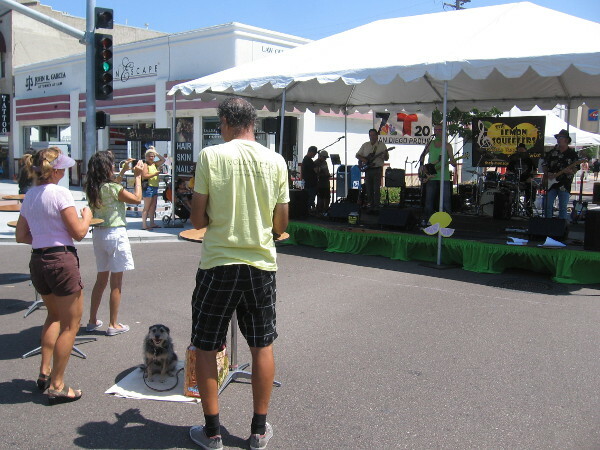 It’s one of the many things that make living downtown so uniquely special! 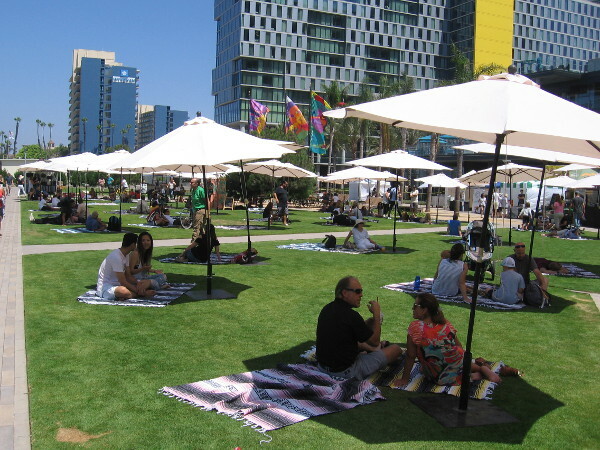 Posted on September 13, 2018 September 15, 2018 Tags city life, downtown, eating, food, mexican food, restaurants, san diego, tastyLeave a comment on Super yummy Mexican food downtown! 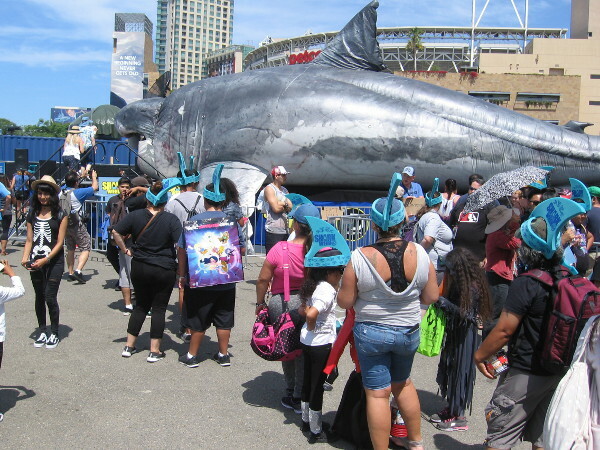 Lovely cultists, Sharkzilla feedings at Comic-Con! 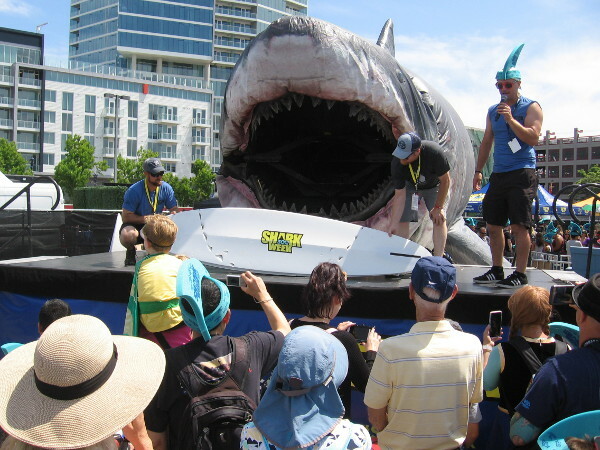 Sharkzilla has taken another bite of a surfboard at The Experience during 2018 San Diego Comic-Con! As you will see, I had quite an experience at The Experience late this morning. 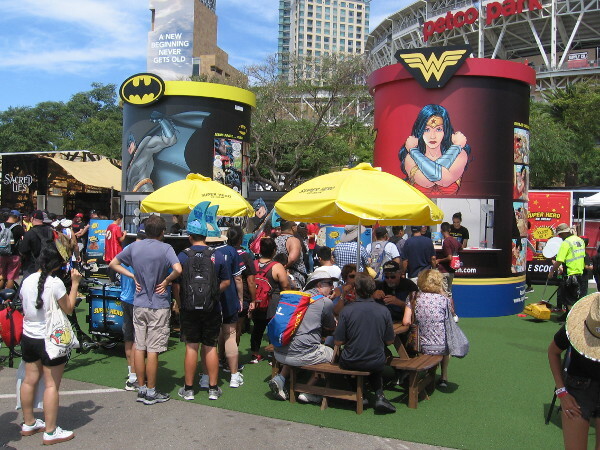 This free public attraction is one of many offsites found around downtown during 2018 San Diego Comic-Con. 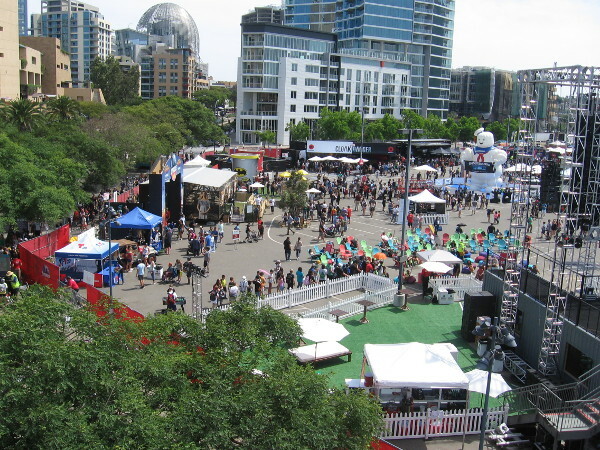 Looking down at The Experience in Petco Park’s Lexus Premier Lot from the Harbor Drive pedestrian bridge. 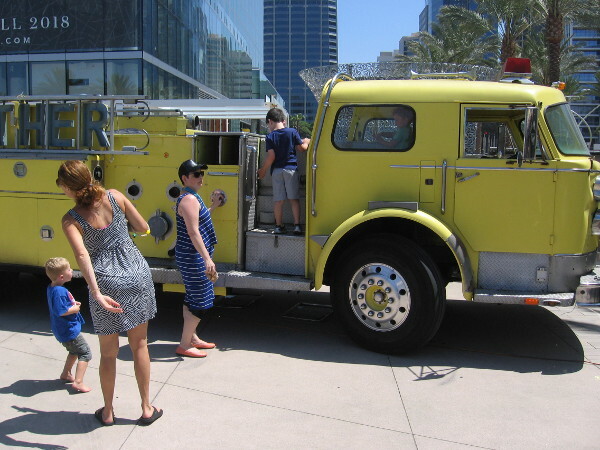 People stream into the fun, free to the public Comic-Con offsite. 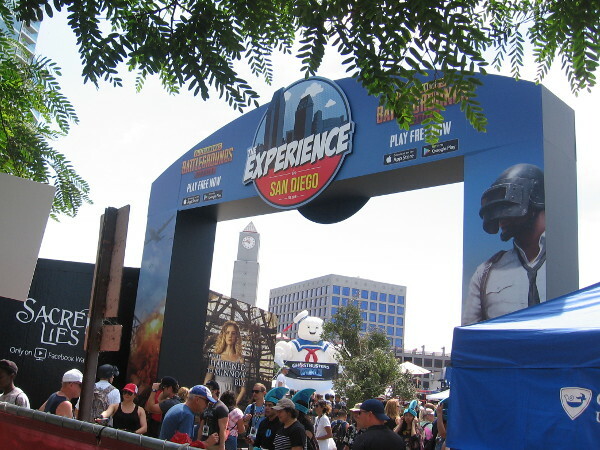 Near the entrance, buses from hotels around the city drop off a motley group of Comic-Con attendees. 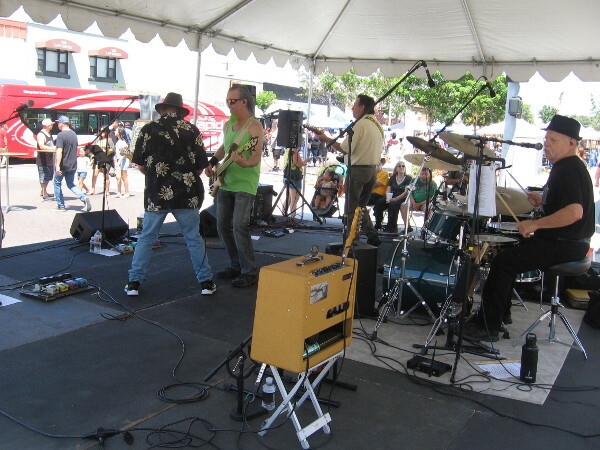 Shark fins bob past the big stage at The Experience. 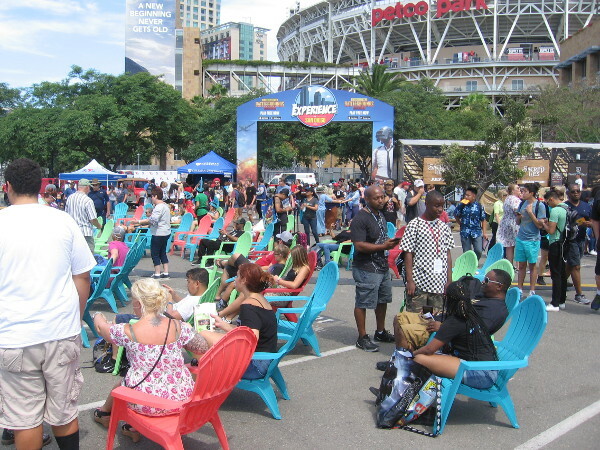 People relax and watch a demo video game up on a big screen. 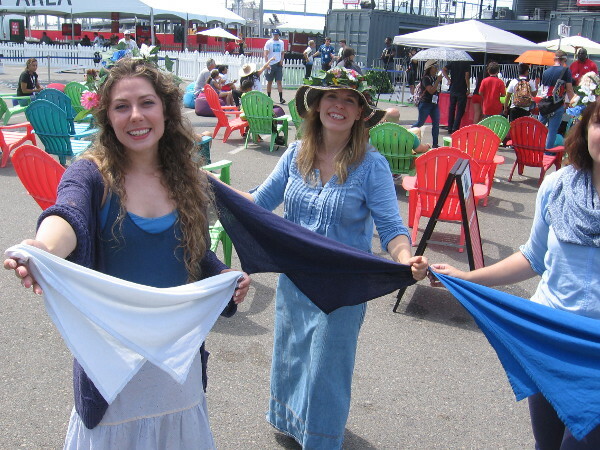 Shortly after I arrive, three lovely, sweet, irresistible ladies with Sacred Lies prepare to encircle me with their scarfs. I’m encircled! Hello! 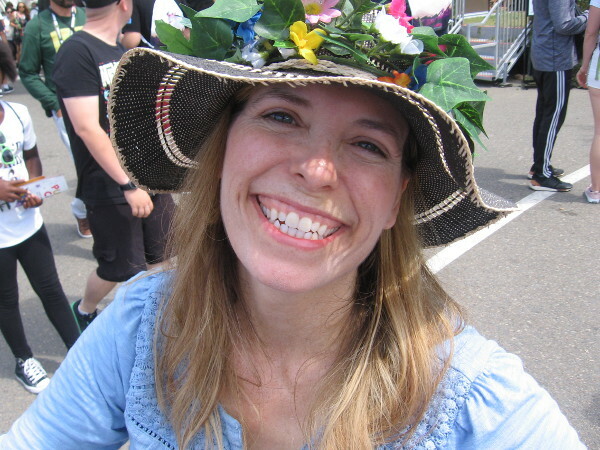 Sign me up for your cult, or whatever it is! 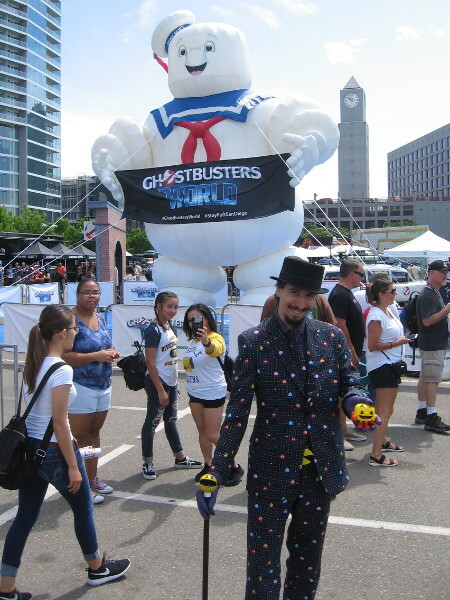 I spotted Pac-Gentleman again, near Stay Puft Marshmallow Man. That seems a lot of marshmallow for a gentleman to waka-waka-waka gobble all at once. 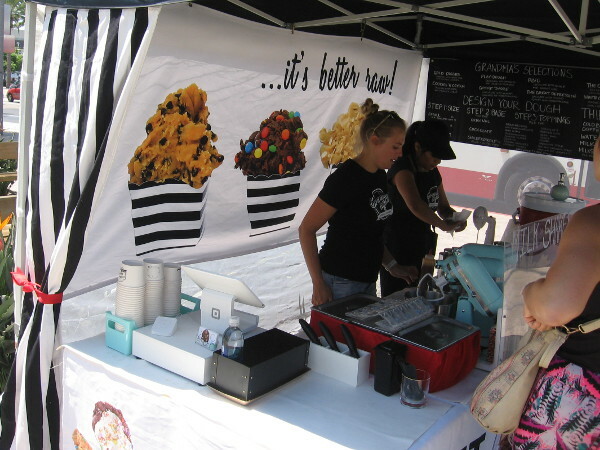 But I could probably digest a few free scoops of DC Super Hero Ice Cream! 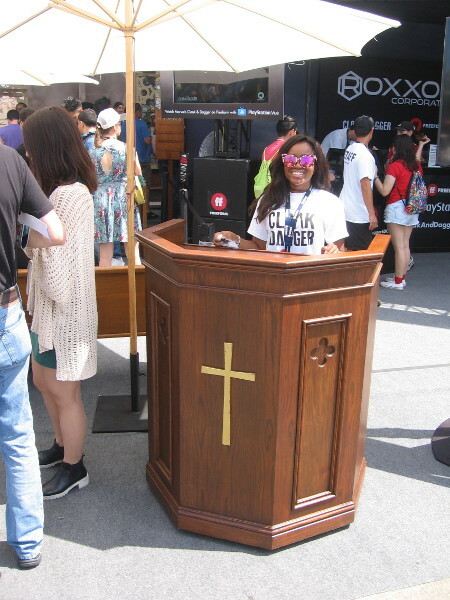 At the Cloak and Dagger activation, this nice lady seemed about ready to dazzle me with a sermon. 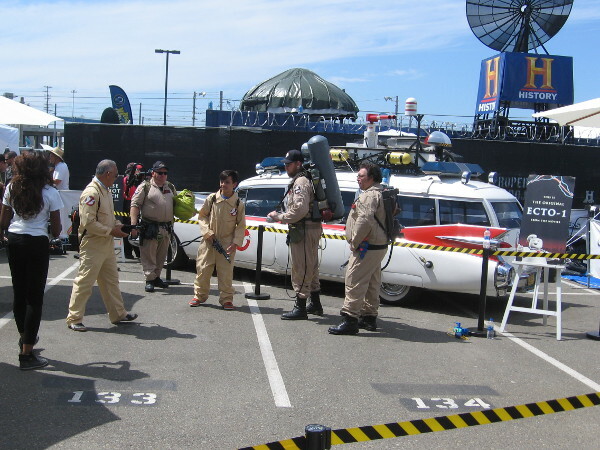 People who line up at Ghostbusters World can have their photo taken next to the original ECTO-1 from the movies. 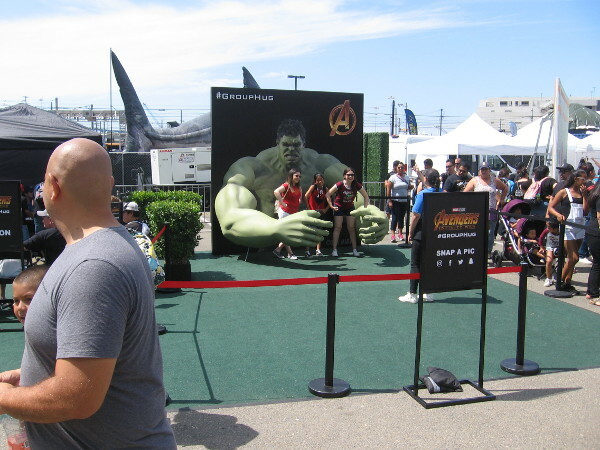 Hopefully Hulk doesn’t become too angry when you get your group hug at the Marvel Avengers activation. 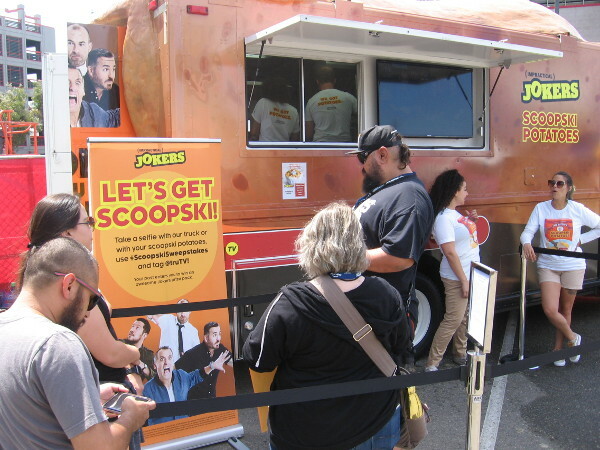 The Impractical Jokers had a food truck serving Scoopski Potatoes. 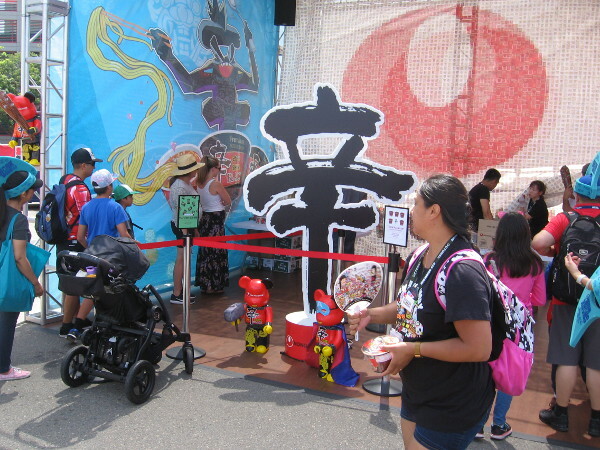 I believe people could get free samples of Shin Black Noodle Soup, but I didn’t check it out. 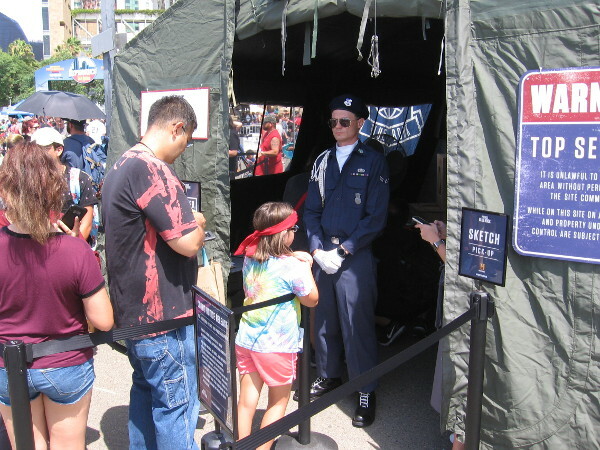 Project Blue Book had a Top Secret tent. With my sketchy background, I don’t have clearance, so I averted my eyes. 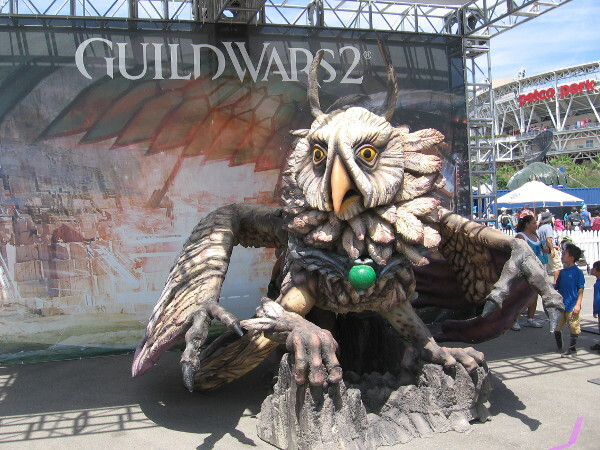 A huge cool sculpture at the Guild Wars 2 activation. 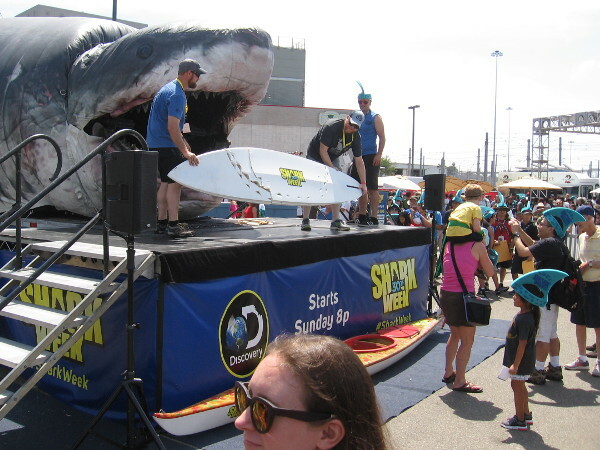 Discovery Channel celebrates Shark Week with an enormous life-size mechanical Megalodon named Sharkzilla. 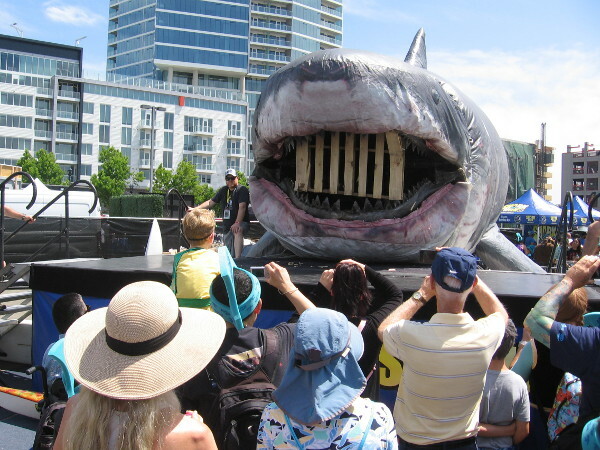 I arrived in time for a Sharkzilla feeding. 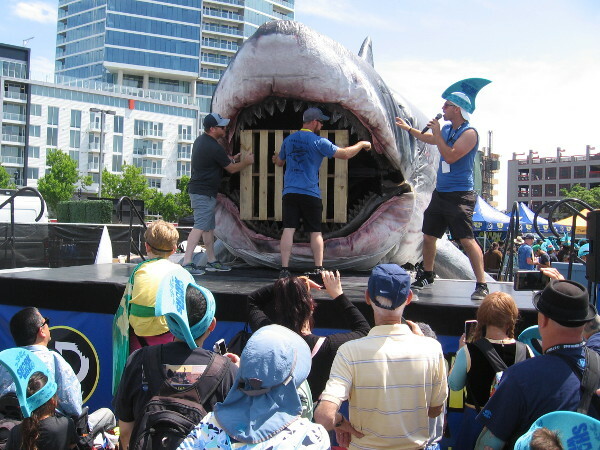 The huge hungry shark is going to chomp on a wooden pallet! Personally, I find pallets to be unpalatable. 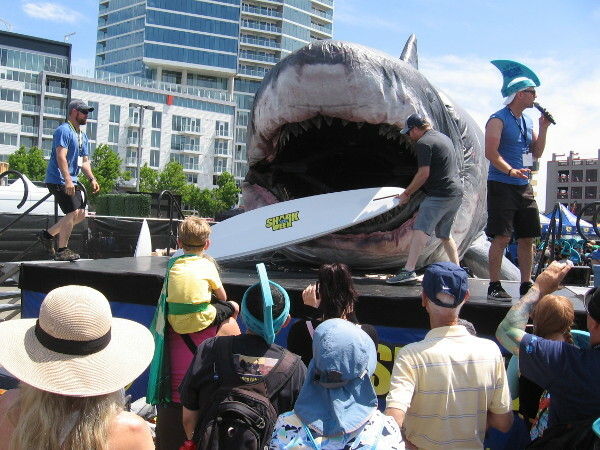 Maybe a surfboard tastes better. 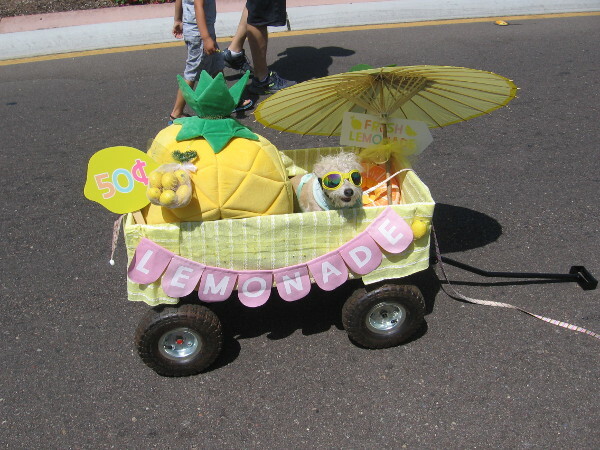 I remember having something like this done when I was a kid and got my braces. 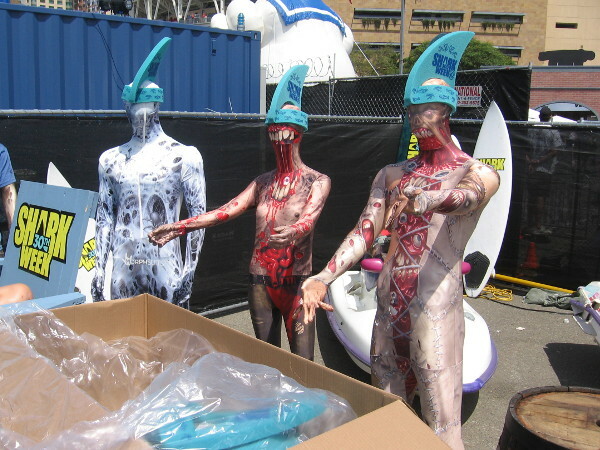 Some tasty bloody zombies that will be fed to Sharkzilla later in the day. 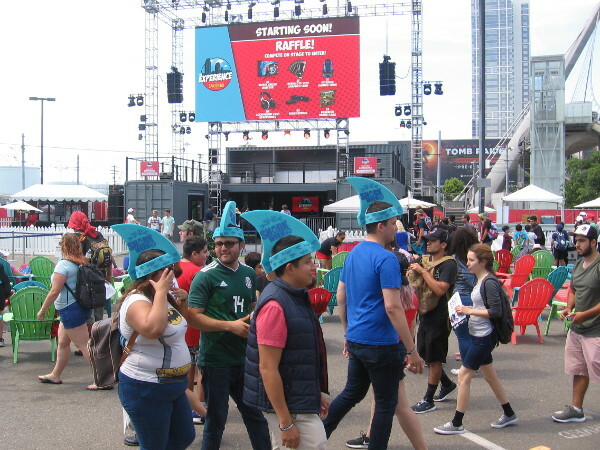 Posted on July 21, 2018 Tags comic books, comic-con, entertainment, events, food, fun, funny, humor, movies, pop culture, sharks, silly, television, zombiesLeave a comment on Lovely cultists, Sharkzilla feedings at Comic-Con! 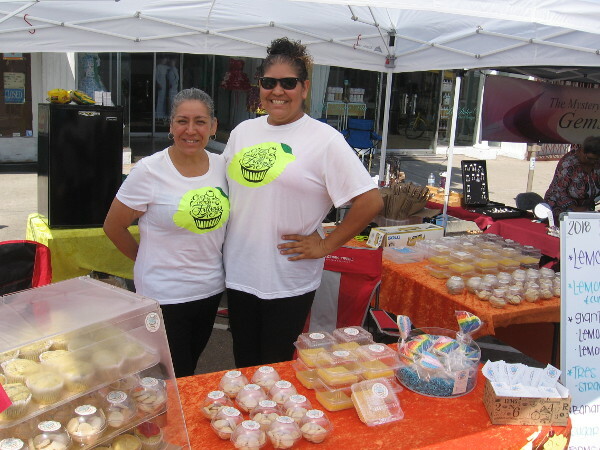 How you can help USO San Diego fight hunger! 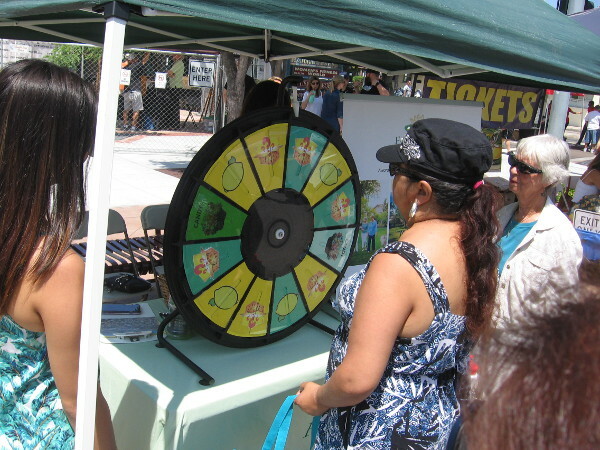 The USO is collecting food at Grocery Outlet Bargain Markets around San Diego. 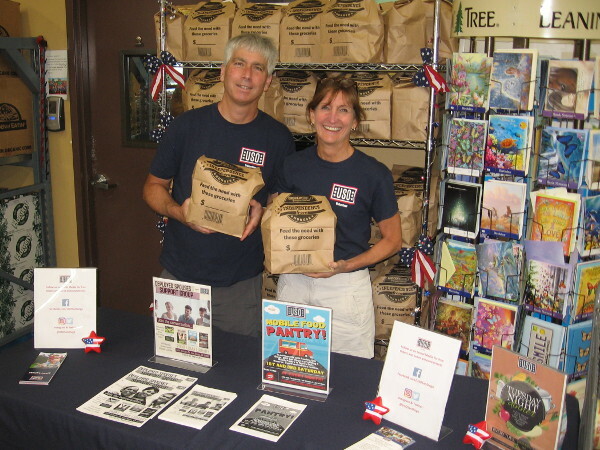 Buy a five dollar bag of food for those who are hungry, receive a five dollar coupon from the store! 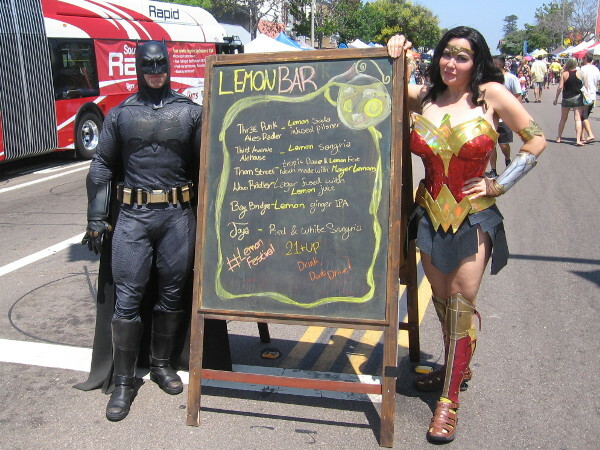 Before I post more photos of Comic-Con, let me alert my local readers to a great opportunity to help others. 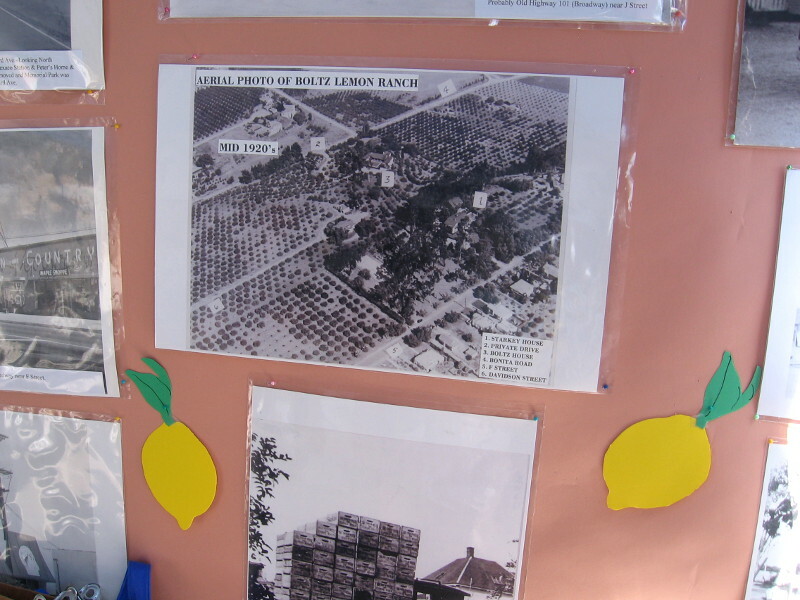 I just discovered an easy and essentially free way to help fight hunger in San Diego! Walking back home from Comic-Con, I realized I needed groceries, so I swung by the downtown Grocery Outlet Bargain Market. As I stepped inside, I was greeted by two friendly volunteers from the USO. 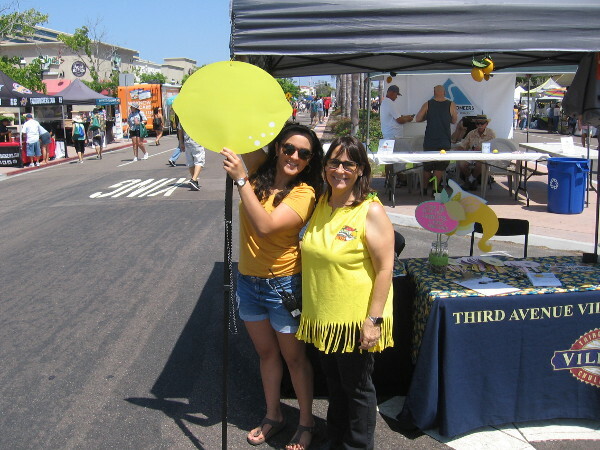 They’re working to fight hunger in San Diego! 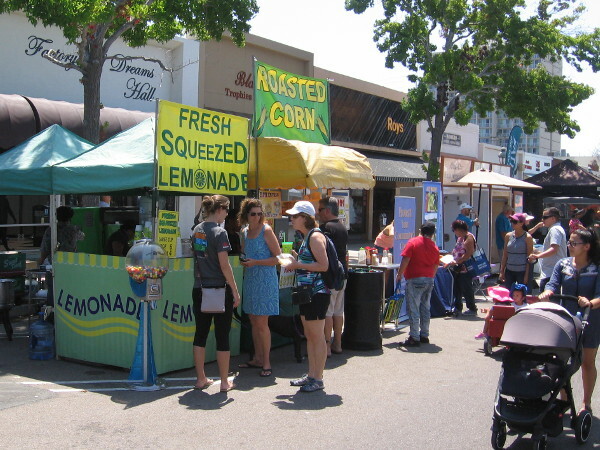 I learned that during the month of July, shoppers who purchase a $5 bag of food from their table to help feed the hungry receive a $5 coupon from the store! 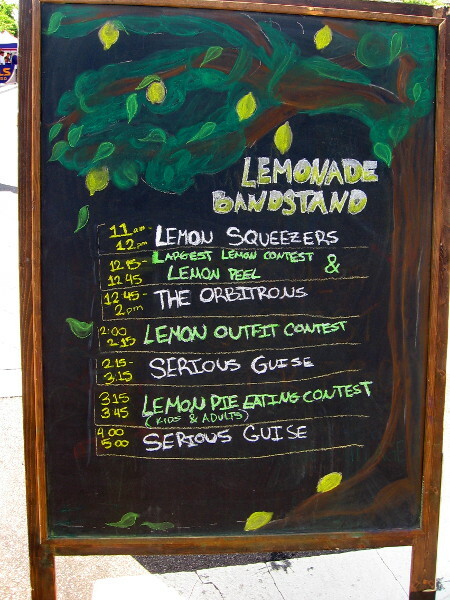 Kudos to the USO and their efforts. Kudos to Grocery Outlet Bargain Market for their generosity! 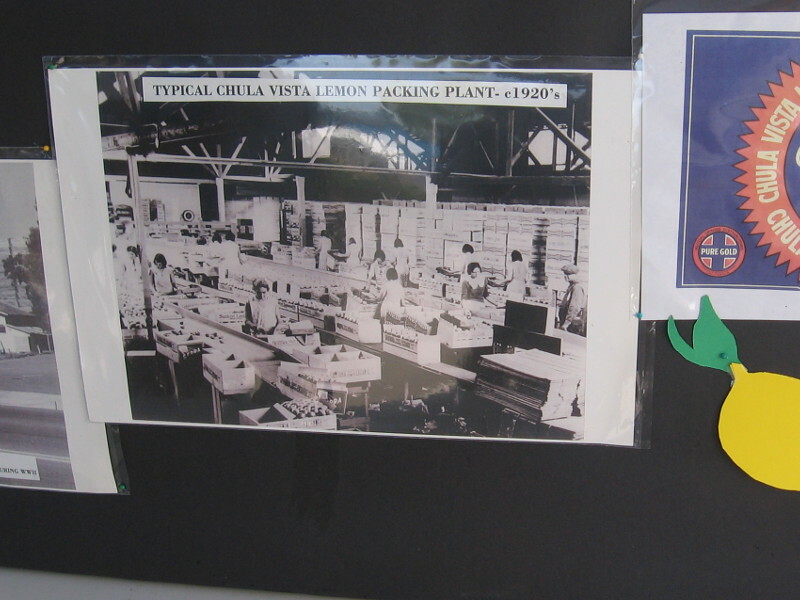 I also learned the USO collects food twice a month from a mobile food pantry in partnership with Feeding San Diego. 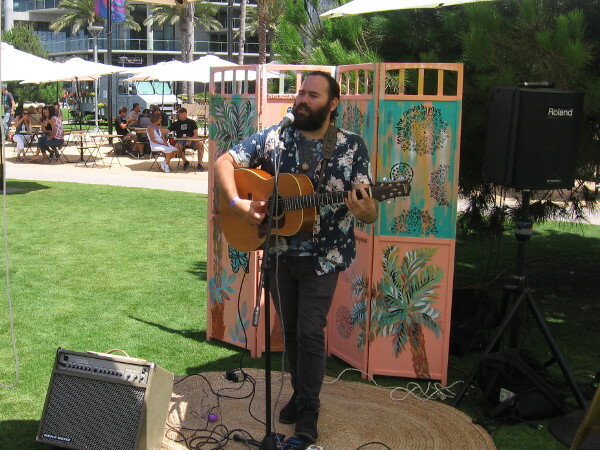 Check out the USO San Diego Facebook page for times and locations! 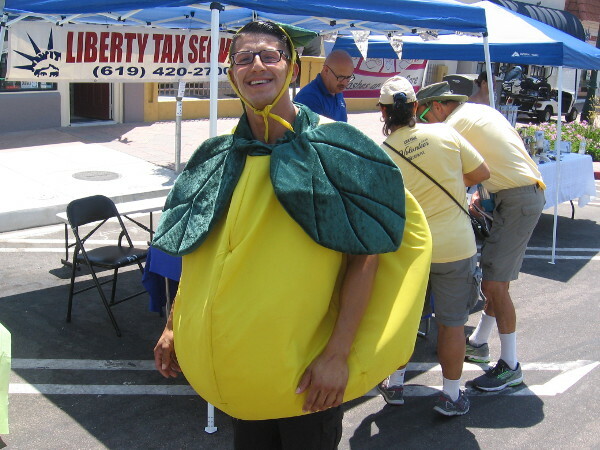 USO San Diego collects food twice a month in partnership with Feeding San Diego. 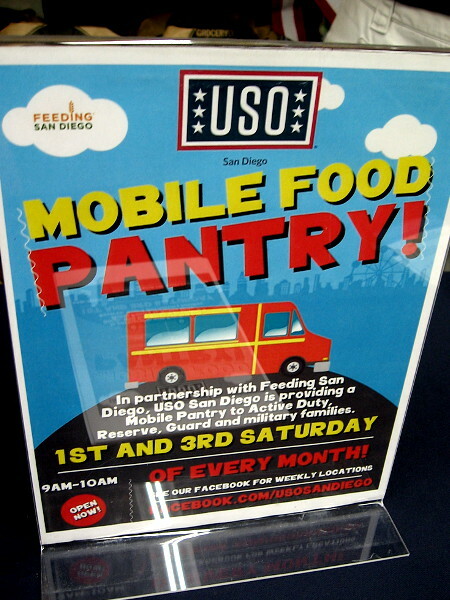 Check the USO Facebook page for their Mobile Food Pantry locations! 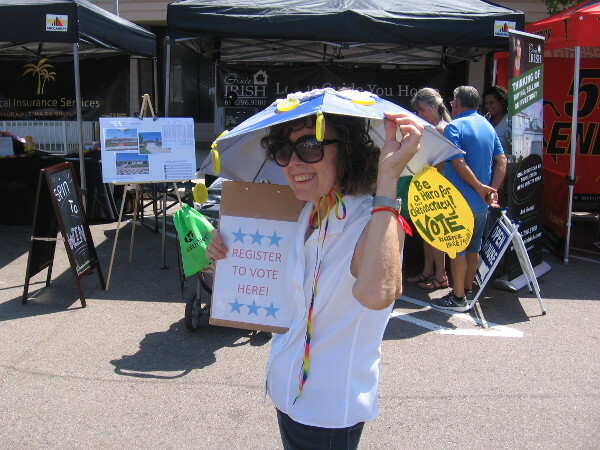 Posted on July 21, 2018 July 22, 2018 Tags blog, blogging, charity, compassion, downtown, facebook, food, heart, hunger, military, san diego, shopping, social media, volunteeringLeave a comment on How you can help USO San Diego fight hunger!